Spike Chunsoft’s oft-requested (by five people) sequel, Zero Escape 3, will be dropping the numerical value in its title for the final release. The company confirmed that its handheld text-adventure will be called Zero Escape: Zero Time Dilemma, sticking with the previous game of not supporting numbers. 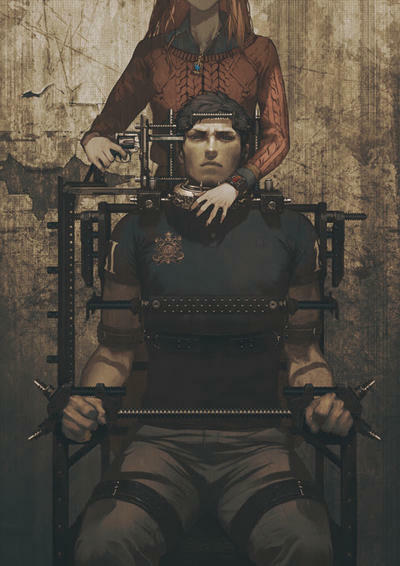 Zero Escape: Zero Time Dilemma will be released on the PS Vita and Nintendo 3DS in summer 2016, and it’s apparently going to be the greatest video game ever. No seriously, the official announcement clearly states that fact. Building on the success of its predecessors, Nine Hours, Nine Persons, Nine Doors, and Virtue’s Last Reward, series mastermind Kotaro Uchikoshi has pulled out all the stops to deliver the most compelling and mind shredding gaming experience ever seen on a handheld platform. Choice is your only method of salvation and your only means of escape. How much of your humanity will you sacrifice to earn your freedom? As a new age of ruin looms large on the horizon, you must make impossible decisions and weather unimaginable consequences as you straddle the line between absolution and damnation. Plan your escape. Good luck living up to those standards, Spike Chunsoft. Who knows, though? The previous games are beloved by their small fanbase for being some of the most unique and intense storytelling devices out there. It’s not as impossible of a feat as you might think. Spike Chunsoft also released a teaser image along with the title, hinting that it is tapping its “inner Eli Roth” for inspiration. The image is exceedingly darker than the older games, and hopefully Uchikoshi can handle the idea of torture within the context of his series’ framework. Not to mention, hopefully he handles it better than Roth can as well.